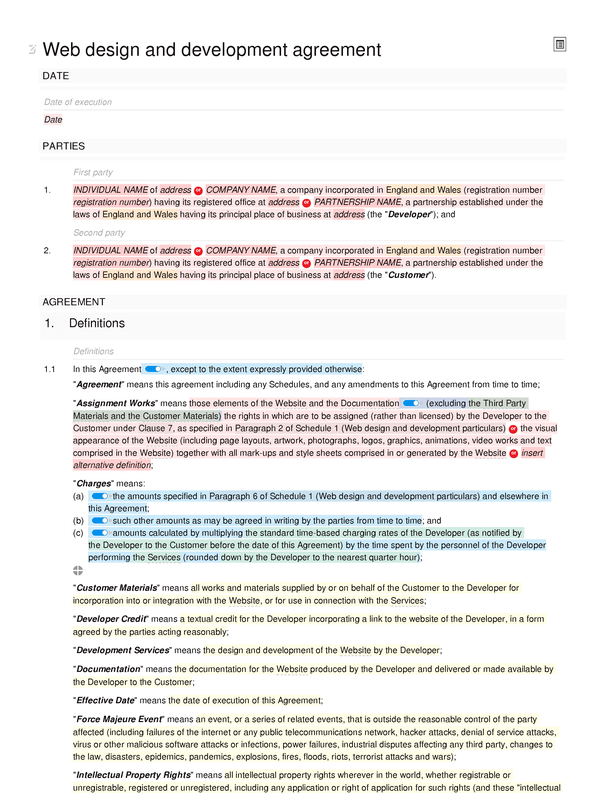 This free web design and development agreement covers all the key issues arising in a typical contract, whilst being relatively easy to edit. 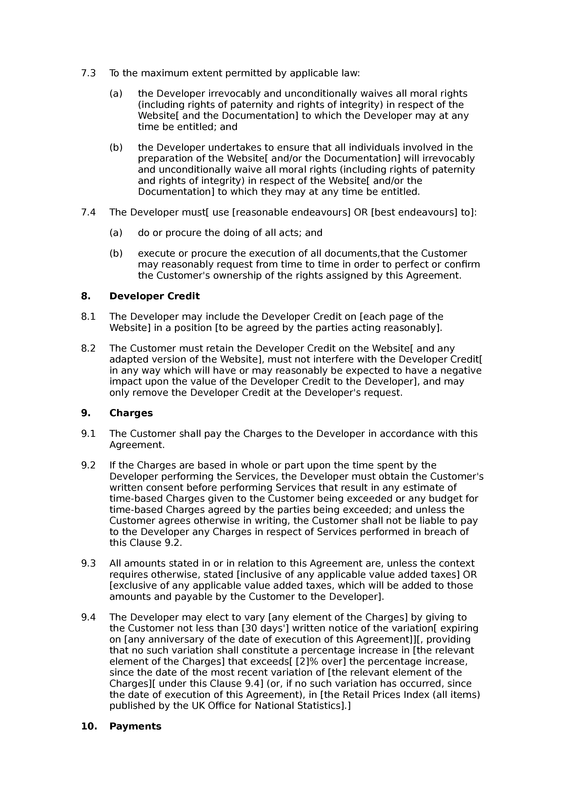 A set of clauses in the document deal with the practicalities of the development process. 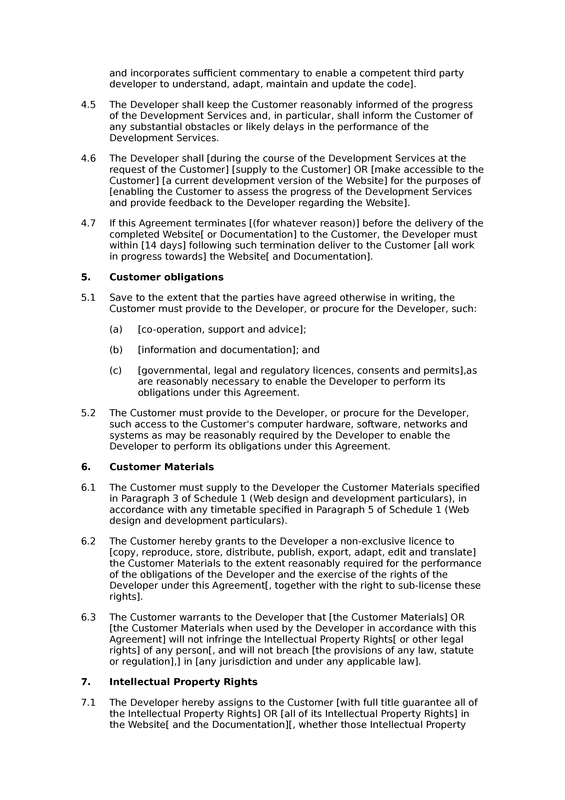 These cover the developer's fundamental delivery obligations, the timetable for development, delays in the development process, consultation during the process, the customer's obligations in respect of co-operation and delivery of customer works, and similar matters. 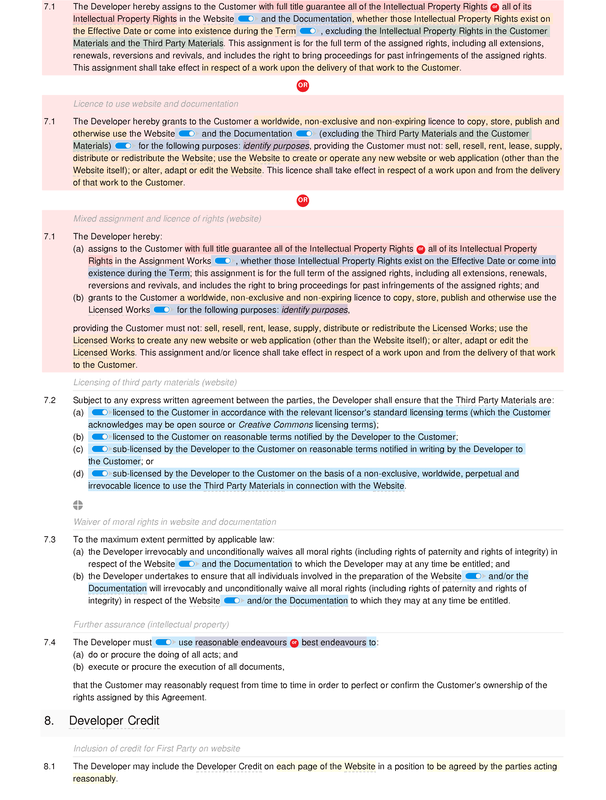 The intellectual property clause allows for the rights in the website to be assigned to the customer, licensed to the customer, or subject to a mixed assignment and licence. For example, the graphical components of the website may be assigned to the customer, while the developer retains the copyright in the software that runs the website. 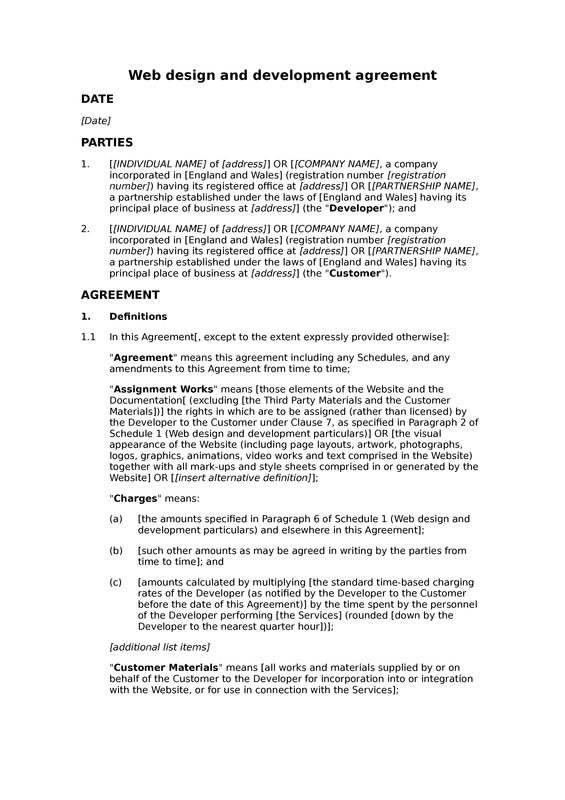 Third party works (such as open source frameworks and stock images) are subject to a separate licensing clause. 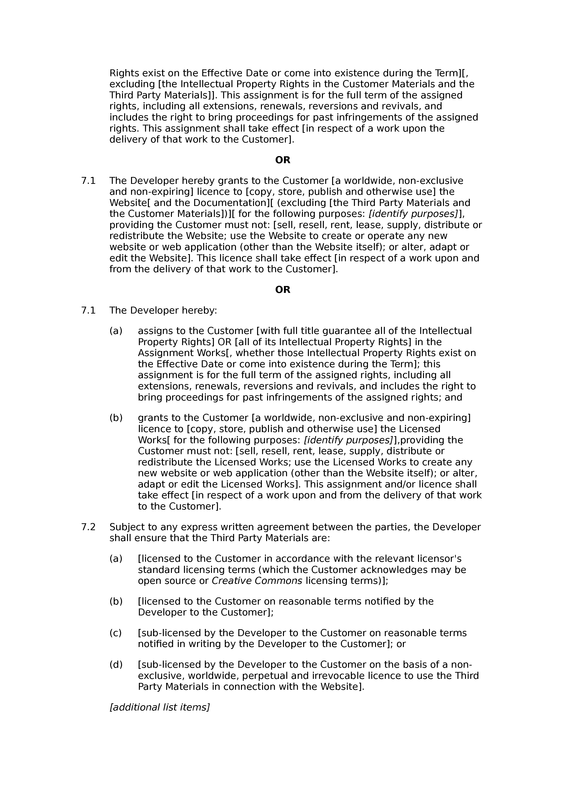 This document is identical to our basic web design and development agreement, except that it includes a mandatory credit for SEQ Legal, which under our licensing terms you must retain in the document. 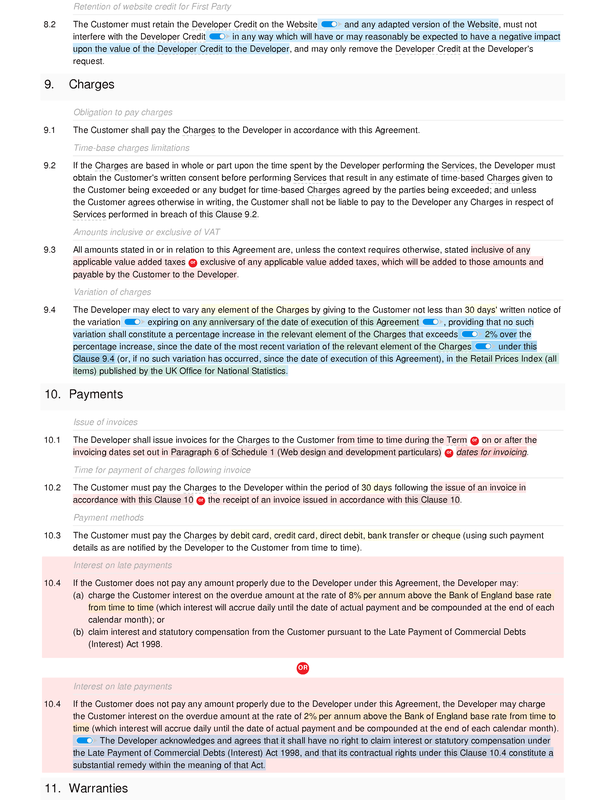 If you do not want a credit for SEQ Legal in your document, you should consider purchasing the basic, standard or premium version of this document. 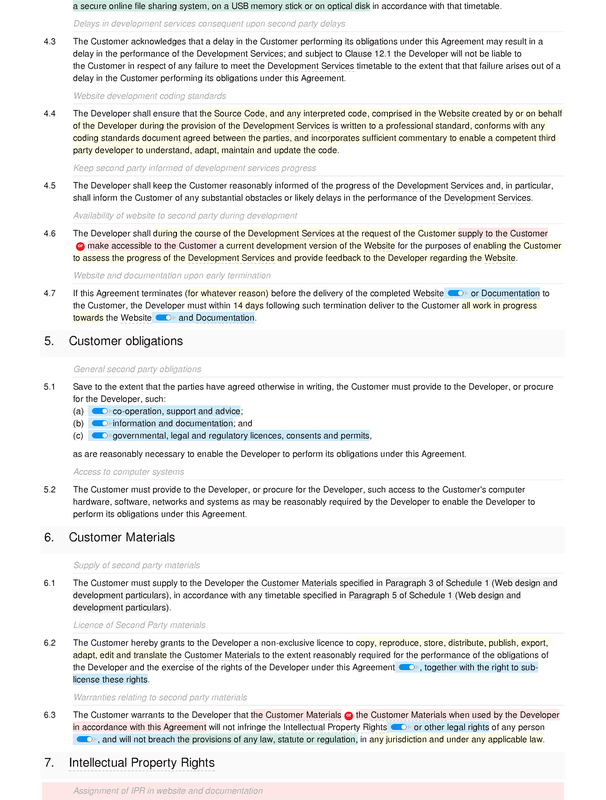 Development Services: obligation to provide development services; timetable for website development and delivery; delays in development services consequent upon second party delays; website development coding standards; keep second party informed of development services progress; availability of website to second party during development; website and documentation upon early termination. Intellectual Property Rights: assignment of IPR in website and documentation; licence to use website and documentation; mixed assignment and licence of rights (website); licensing of third party materials (website); waiver of moral rights in website and documentation; further assurance (intellectual property). 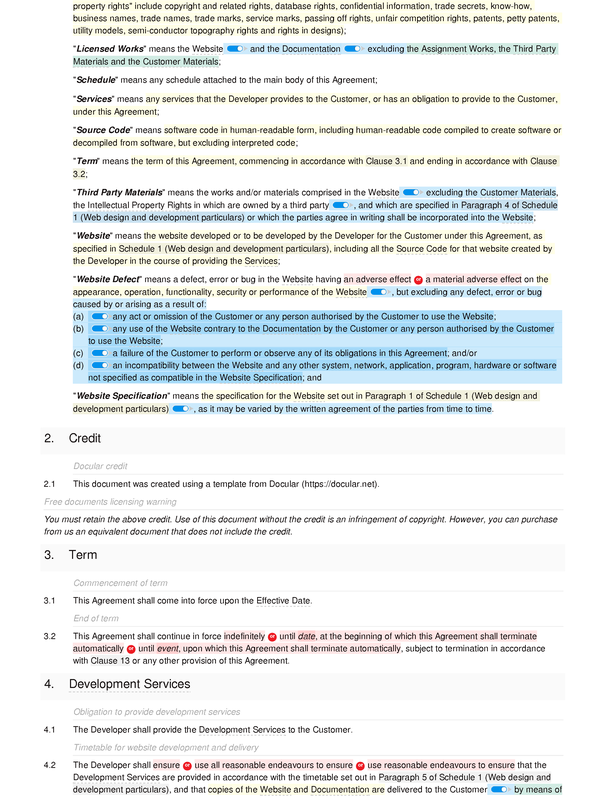 Warranties: standard of services; first party general warranties; website warranties; warranty of legality of website and documentation; website and documentation IPR infringement warranty; breach of website infringement warranty; second party warranty of authority; exclusion of implied warranties and representations. Limitations and exclusions of liability: caveats to limits of liability; interpretation of limits of liability; no liability for force majeure; no liability for loss of profits; no liability for loss of revenue; no liability for loss of use; no liability for loss of opportunities; no liability for loss of data; no liability for consequential loss; per event liability cap upon services contract; aggregate liability cap upon services contract. 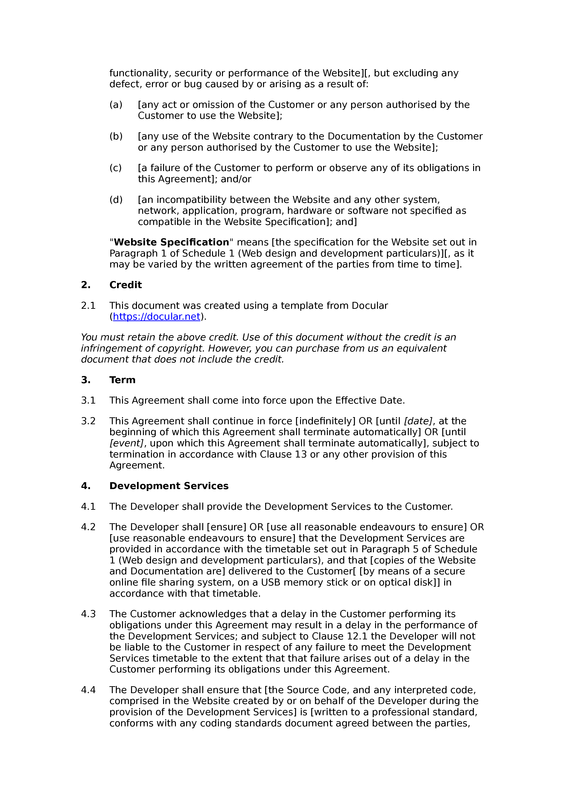 Specification of Website: specification of website prompt. 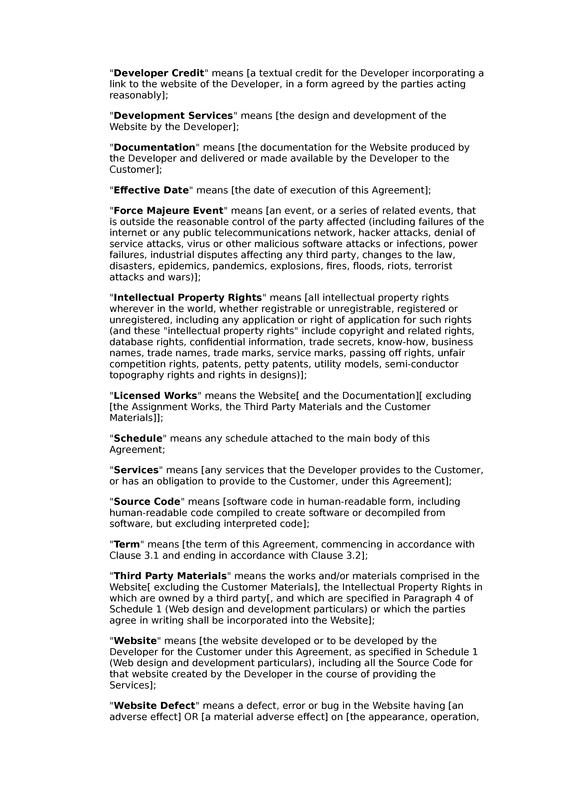 Rights in Website to be assigned: identification of rights in a website to be assigned. Materials: prompt for identification of second party materials. Third Party Materials: prompt for identification of third party materials.